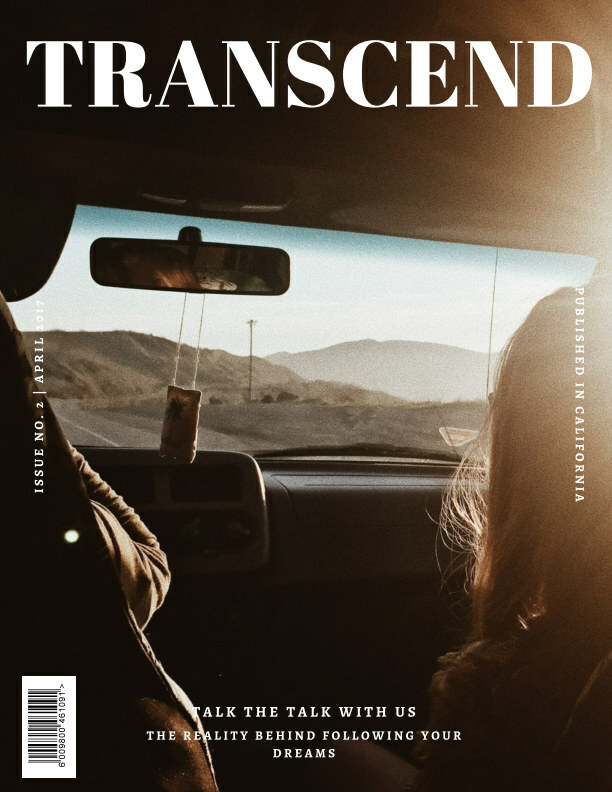 This issue is about the reality behind following your dreams. It features photo journals, poems, playlists, visuals, and articles about people and their stories. We priced it as reasonably as we can, and we hope you enjoy it. TRANSCEND.